Keighley Bus Museum Trust.work MuseumThe Keighley Bus Museum Trust hold three major events each year, these are usually held in April, July and October. The April and October events held on the last Sunday of the month, are often themed open days held at the museum’s Riverside depot which is partly emptied of buses and filled with transport memorabilia and collectables stalls. Onsite refreshments are available along with toilet facilities. All of the collection of vehicles is on display to view along with visiting vehicles and a free to uses bus service linking Keighley town centre and all transport links to Keighley and more often than not a second route is available to ride on which changes from event to event. 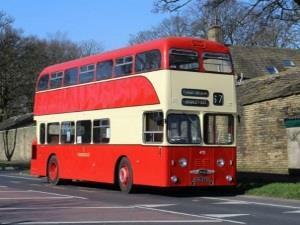 For openings please check the Keighley Bus Museum Trust website.